When Asus came into the smartphone market, no one could have imagined that it will create such a hype. Asus ZenFone series was a big hit and it was Asus ZenFone 5 which gave a tough competition to well-established brands. After the huge success of Asus ZenFone series, Asus is back again with an even more powerful and beautiful phone, Asus ZenFone 2. Asus ZenFone 2 is getting a very good reviews from both the customers and mobile phone experts. The phone was exclusively launched on Flipkart and went out of stock in just a few seconds. The device is selling like hot cakes and is creating a lot of buzz in the town. What makes ZenFone 2 so special and Why you should own Asus ZenFone 2? 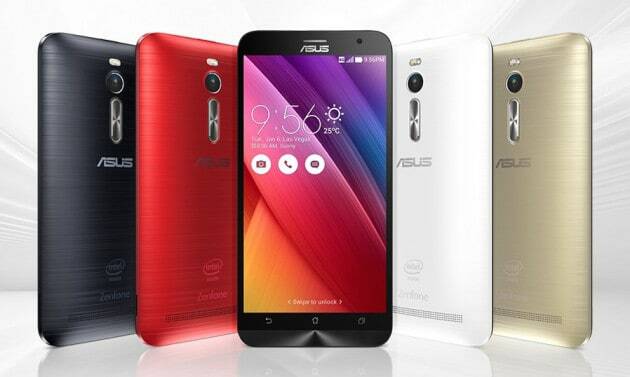 Asus ZenFone 2 is the first phone in the world having a 4GB of RAM. The phone is a beast and is powered by a 2.3 GHz Quad Core Intel Atom Z3580 processor. It is equipped with PowerVR G6430 GPU for delivering excellent graphic display. The phone is as smooth as it can be and offers powerful lag-free multitasking. It features a 5.5” full HD display. The phone looks like a premium device with no buttons at right and left a side of the phone. The volume rocker is on the back side of the phone and the power button is on the top of the phone. This new arrangement of buttons gives a new and fresh feel of using a smartphone. The brushed metal finish on the curved back side and the concentric circles on the front bottom side adds to the beauty of the phone. Asus is comparing the camera quality of the phone with DSLR quality. The 13 MP rear camera is capable of shooting full HD videos and clicks some stunning images. The best part of the camera is its ability to click excellent images even in low light. You don’t even need to use dual LED for taking images in low light. The camera offers many shooting modes for clicking images as per needs and situations. The front camera is 5 MP and is equipped with a beautification mode for taking clearer selfies. Asus ZenFone 2 comes with Android Lollipop out of the box and features Asus’s own ZenUI skin on the top. The ZenUI looks fresh and gives a completely new feel while using the Android. It offers many good features like the ability of Smart Group functionality in the app drawer. Also, the inbuilt App Lock comes very hand and allows you to lock individual app separately. The best reason to own Asus ZenFone 2 is that it offers a wide range of colours and models. You can buy a 4 GB model or a 2 GB model depending on your budget. It also offers different beautiful colours. The phone is available from INR 12,999 to 22,999 which means no matter whether your budget is low or high, you can always include ZenFone 2 in your list. In most simple and direct words, Asus ZenFone 2 is a master piece. It would not be an exaggeration to say that Asus ZenFone 2 is currently one of the best affordable smartphones in the market which has got the looks and power.